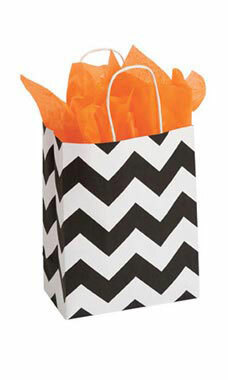 Give your store that retro look with Store Supply Warehouse’s Classic Chevron Paper Shopper. Featuring a bold black and white chevron design this paper shopper is sure to add some style to your sales. The Classic Chevron Paper Shopper is sold exclusively at Store Supply Warehouse. Sold in cases of 25.